The managing director of Telugu channel Express TV, Jayaram Chigurupati, was found dead in a car parked on a highway near Andhra Pradesh‘s Aitavaram village late on Thursday night. Jayaram Chigurupati was found dead with injuries on his head. His body was found at the leg space of the back seat of the car, police said. “They have identified that the person was Chigurupati Jayaram, an industrialist. Jayaram had come out from his house two days ago and had informed his relative that he is coming back to Vijaywada yesterday, “police said. 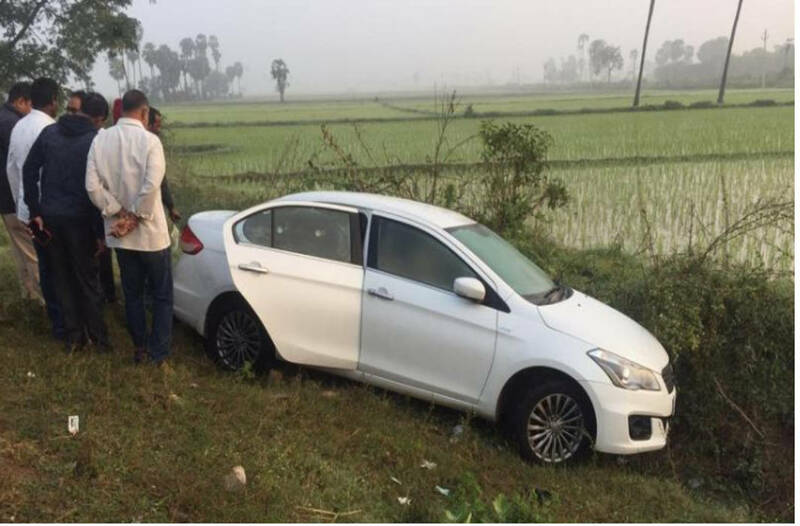 “When the police collected the CCTV footage of different toll gates situated in Vijaywada they found that some other person was driving the car. Police suspect that someone has killed Jayaram and has tried to create it as an accidental death, “police said. The actual reason of the death will come to knowledge after the PME reports,” he added. Jayaram Chigurupati had opened a Telugu news channel and closed it a year ago. He was arrested in January last year on the charge of non-payment of salaries to employees. Police are yet to ascertain whether the death was an accident or a murder. More details are awaited.